Luke Atkinson is a nonprofit communications professional with a passion for serving the Oklahoma City community. He manages much of Oklahoma Contemporary’s marketing as well as the visual look and feel of the organization’s brand. 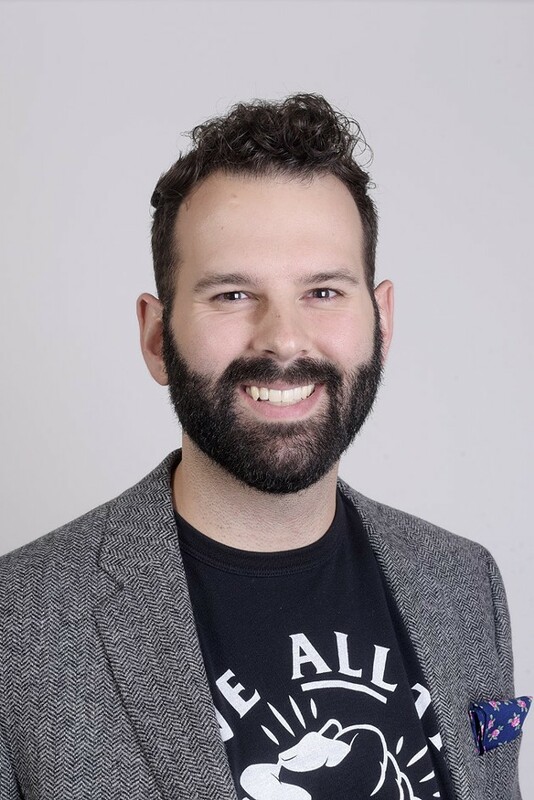 Prior to joining the team at Oklahoma Contemporary, Luke worked at Science Museum Oklahoma in marketing and communications, providing visual design for exhibit creation and educational programs. He also worked as a graphic designer for a creative agency that serviced more than 80 university athletic departments, including as in-house designer for the University of Utah in Salt Lake City. Luke is active in the community, serving as a volunteer or young professional board member for organizations such as Pet Food Pantry, Sunbeam Family Services, Metro Technology Center and the Oklahoma Mural Syndicate. He was named to the Oklahoma Gazette's Forty Under 40 in 2017. Born and raised in Oklahoma, Luke graduated from the University of Oklahoma in 2010 with a bachelor’s degree in journalism and mass communications. He was active in student media, serving as editor-in-chief the student newspaper, pulling shifts at the student radio station and working on the crew of several campus video productions. His work was recognized by the Oklahoma Broadcast Educator’s Association, the Oklahoma Society of Professional Journalists and the Columbia Scholastic Press. Luke is currently pursuing a master’s degree in public administration at the University of Central Oklahoma. His interests include urban management, placemaking and promoting arts and culture within Oklahoma City.